Rio Salado College | RioNews: Attend Our Insurance/Risk Management Career Night on April 16! Attend Our Insurance/Risk Management Career Night on April 16! The Arizona insurance industry is growing, and employers are looking for talented individuals like you to be part of the next generation of insurance professionals. 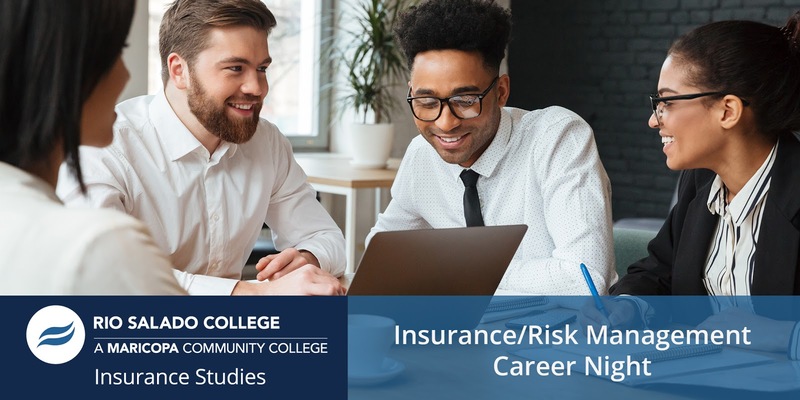 Join us for our Insurance/Risk Management Career Night on Tuesday, April 16 at Arizona Christian University to explore all of the career options this industry has to offer! • Enjoy FREE pizza & gift card giveaways! Please bring your resume (or any other material to hand out) and be prepared to introduce yourself and interact with potential hiring managers, which could lead into a successful career path! Come prepared with a few questions to ask our panelist as well. Rio Salado College is proud to join Arizona Christian University as a co-sponsor for this event.